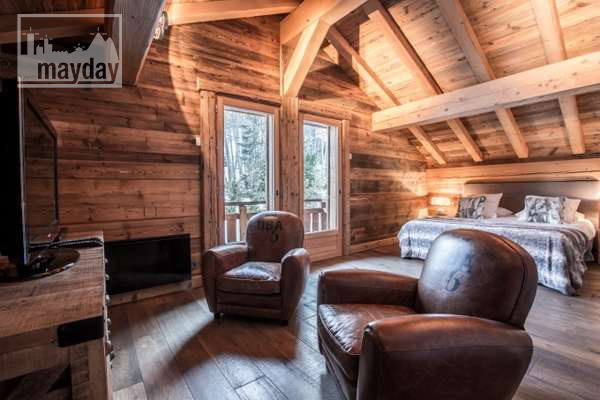 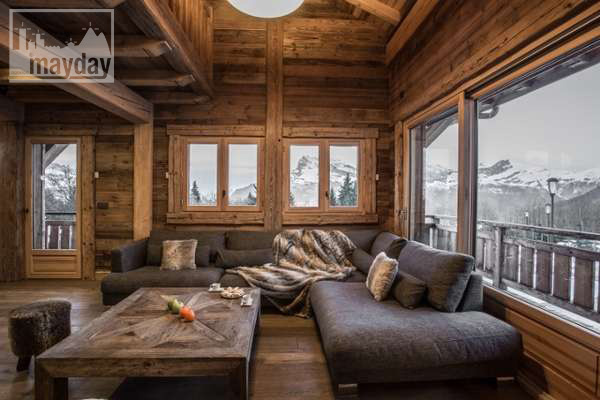 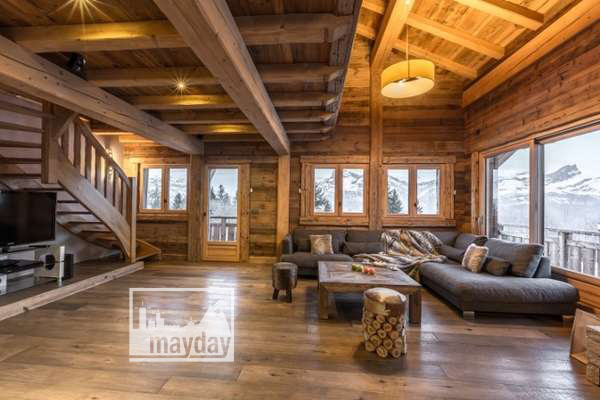 Luxurious “deer” chalet, Mont-Blanc (clav1004) | Agence Mayday, scouting agency | Best location for your project concerning : feature films, TV, commercials, promos, photo shoot & events. 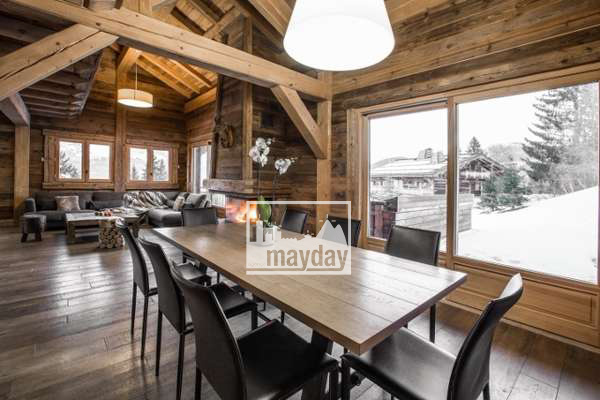 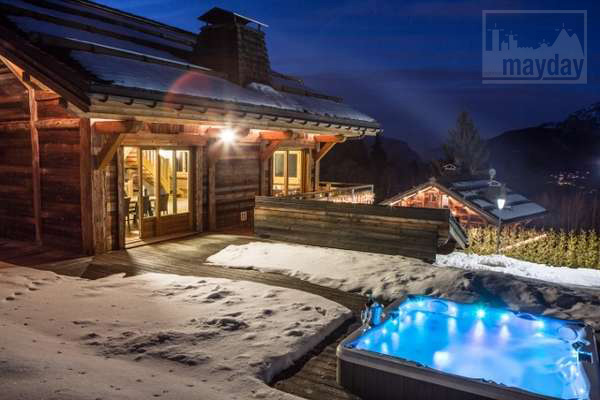 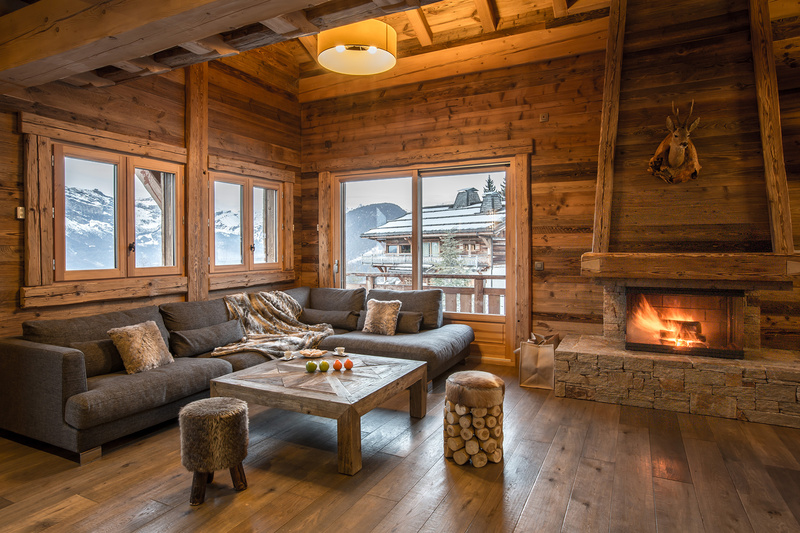 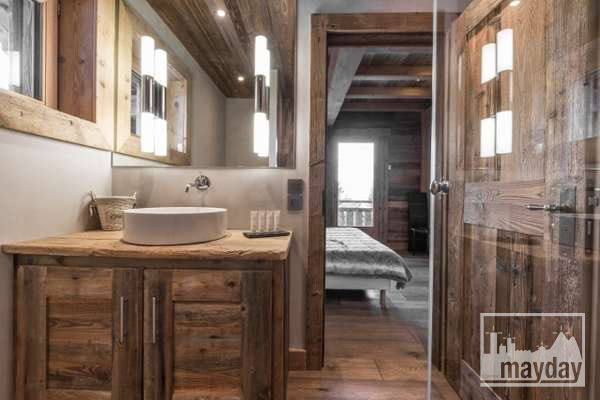 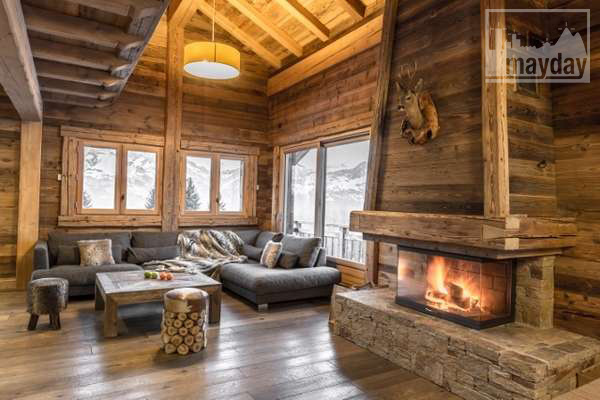 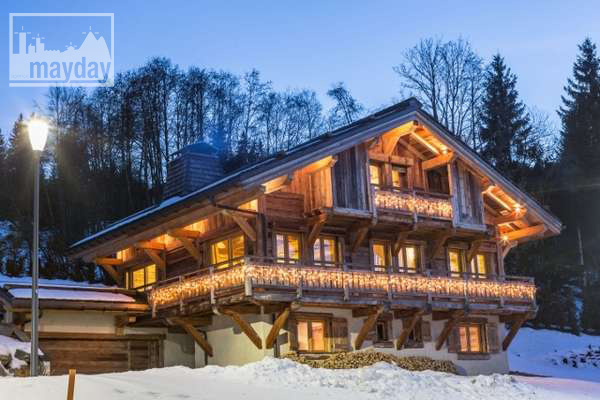 Ideally located in St-Gervais les Bains, near Mégève, this gorgeous 300 sqm chalet is a cosy refuge in altitude. 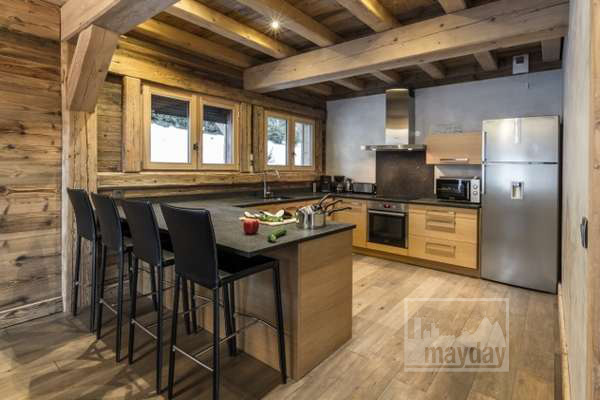 Large main room with an open kitchen, a spacious living room and its massive chimney, 5 bedrooms and a master suite, exterior jacuzzi with a view over the Fiz mountain range, close to the Mont-Blanc massif. 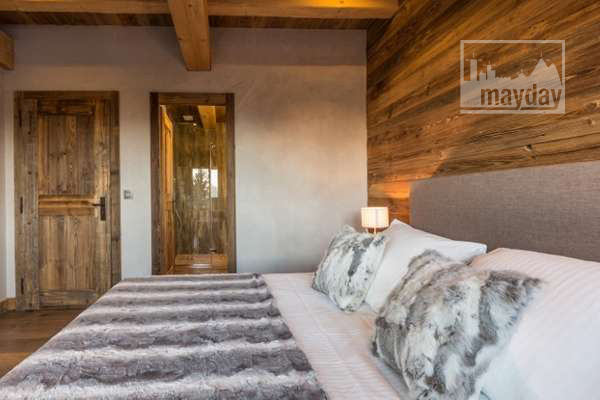 The decoration is an alliance of ancient classic wood work and contemporary materials, this chalet is inhabitated by the spirit of the mountain and offers a precious circulation space.